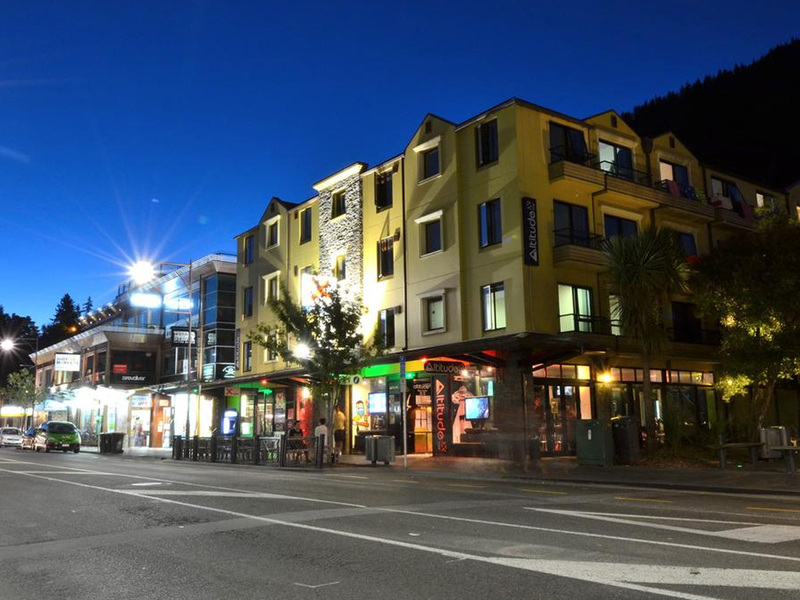 Located on the most popular street in Queenstown, Base is THE "one stop shop" hostel. Everything you could want is under one roof - your bed, your entertainment and your adventure all catered for by the friendliest team in town. Whether you're travelling alone or with a group, Base Queenstown pride themselves in ensuring each individual feels right at home. If it’s comfort, fun and adventure that that you seek, then congratulations you have found your place already! 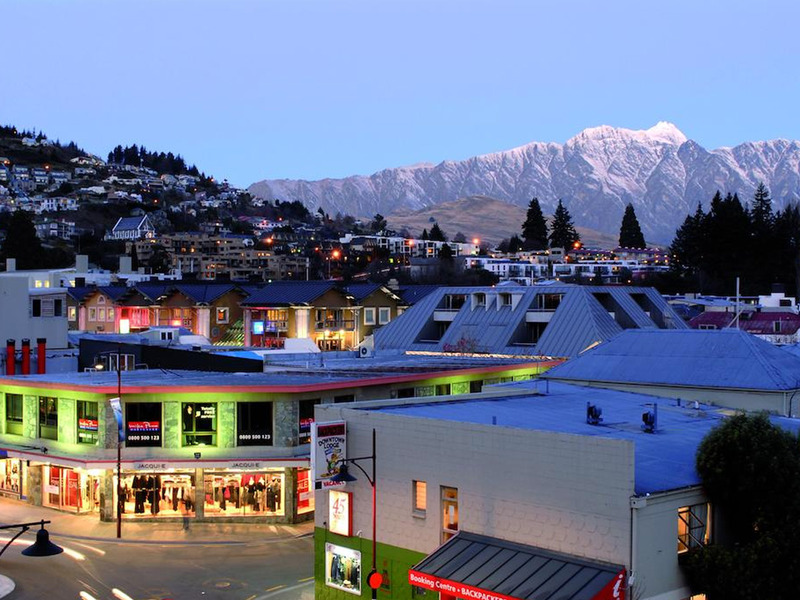 The main shopping centre, bars, cafés and restaurant areas are all within a very short walking distance from Base Queenstown. 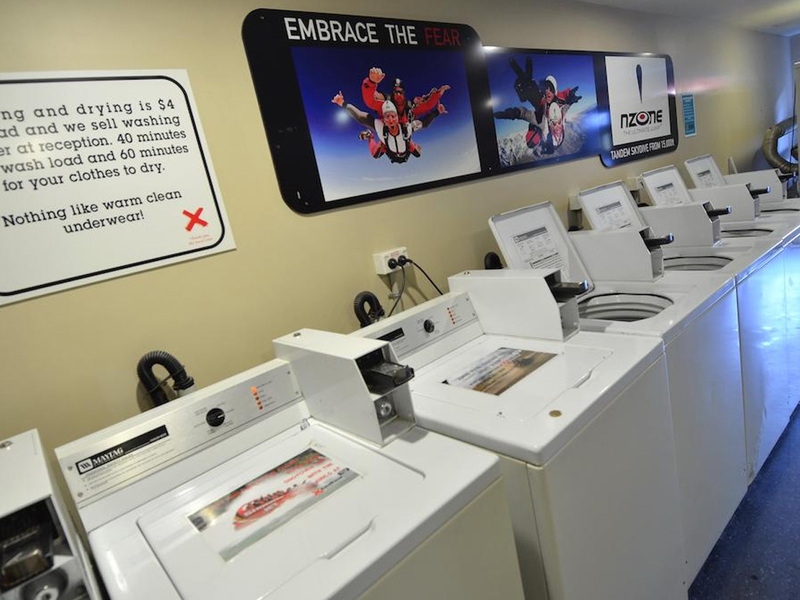 Base Queenstown has modern facilities and a bathroom adjoining every room. Friendly local staff will ensure that you experience the best of Queenstown's incredible scenery, culture and adrenaline-pumping adventure activities. Downstairs is the famous Loco Cantina where you will meet the hilarious staff that have devoted their life to giving you an awesome time! Mexico inspired taqueria, tequileria and all round party pop-up bar. Get ready for some outrageously good tacos, splitting tequila hangovers and some huge acts all year around. A perfect opportunity to meet people, play games, win massive prizes, dance the night away to cool DJs, drink and eat cheaply! 8 Bed Dorm - large bunk beds with inner sprung mattresses that are fully made with quality linen await your slumber. All rooms come with bed lights for reading and security lockers under your bed. 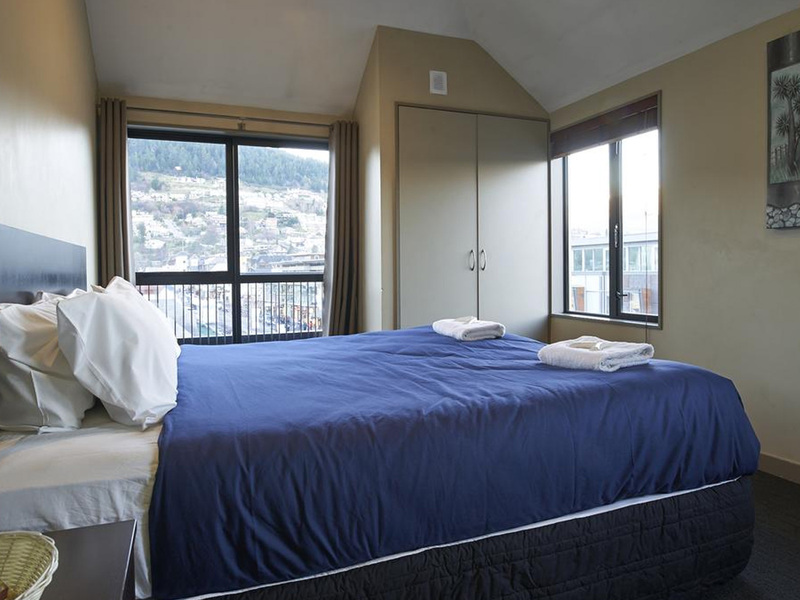 Each room is also equipped with central heating, double glazed windows, and bathroom right outside your door. 8 Bed Dorm Ensuite - large bunk beds with inner sprung mattresses that are fully made with quality linen await your slumber. All rooms are ensuite and come with bed lights for reading and security lockers under your bed. Each room is also equipped with a central heating and double glazed windows. 6 Bed Dorm Ensuite - large bunk beds with inner sprung mattresses that are fully made with quality linen await your slumber. All rooms are ensuite and come with bed lights for reading and security lockers under your bed. Each room is also equipped with a central heating and double glazed windows. Sanctuary Dorm - female only rooms allow you to move around in comfort and style with high quality duvets and pillows. Hair straighteners and blow dryers in the rooms available for use along with a hollywood style mirror to ensure you are looking your best for your night out on the town. 4 Bed Dorm Ensuite - a no frills standard ensuite quad room with a shower ensuite. All beds come fully made with quality linen. The rooms are heated and double glazed for your comfort on those cold winter nights. This is a great option for 4 mates on a budget but still wanting some privacy. Very popular during winter! Private Ensuite No Window - windowless, spacious, with clean ensuites to warm up after a day of adrenalin. All bedrooms come with fully made beds with quality linen. Rooms are heated for your comfort on those cold winter nights. The room has a TV and tea and coffee making facilities. 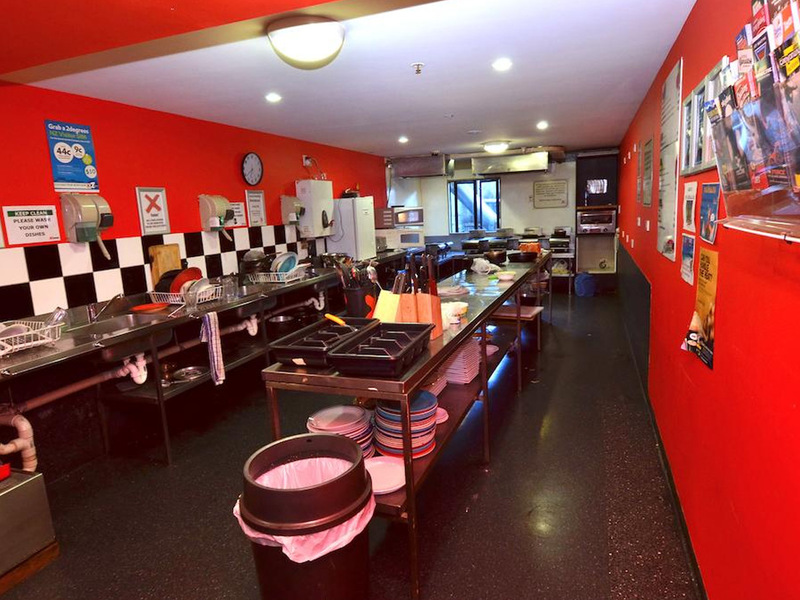 Private Shared Facilities - Standard private room with shared bathroom facilities, TV and a fridge. Private Ensuite - spacious, clean ensuites that may include a bath tub to soak up the days adrenalin. All bedrooms come with fully made beds with quality linen. Rooms are heated and double glazed for your comfort on those cold winter nights. The room has an ensuite bathroom which is modern and has a TV and tea and coffee making facilities. Private Triple Ensuite - spacious, clean ensuites that may include a bath tub to soak up the days adrenalin. All bedrooms come with fully made beds with quality linen. Rooms are heated and double glazed for your comfort on those cold winter nights. 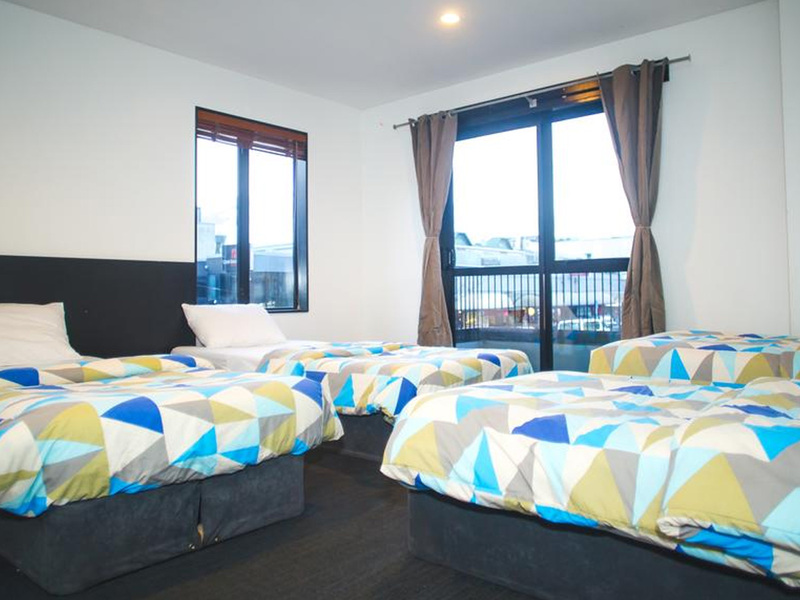 The room has an ensuite bathroom which is spacious, modern and cleaned daily. Car Parking: Car parking is available at a fee.